The crow bird mask is an animal mask for the telling of the fable of the Fox and the Crow. 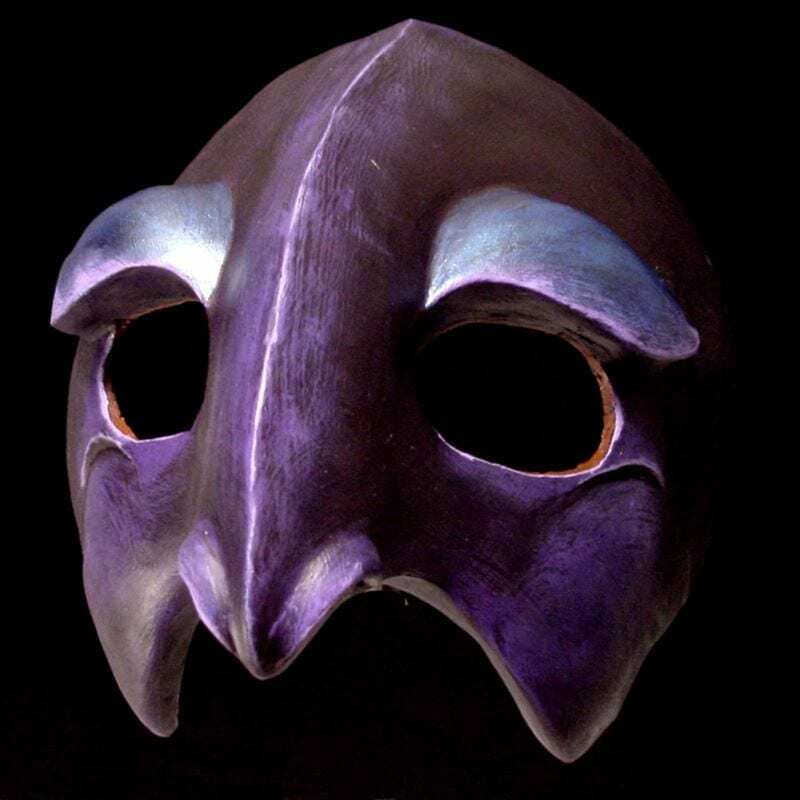 The mask was designed originally for opera so the singing crow id a given when playing this mask. The Fable of the Fox and the Crow is one that warns us to beware of flattery for the flatterer is often after something other than just giving a simple compliment. Flattery gets you somewhere and often manipulates the vain to ones advantage. In the operatic version of the story the Crow is of course played by a soprano and the Fox a baritone. Sopranos are easily manipulated through flattery as the cliché goes.